Home > Blog > Affordable Liposuction: It’s Not a Myth! Learn more about how the team at the Advanced Body Sculpting Institute are champions of both artistry and accessibility in the world of liposculpture. Have you maintained a healthy, active lifestyle for months, but still struggle to lose the last pounds of fat that hide your muscle tone? In your search for a way to lose this fat, you may have decided to research liposuction treatments in your area. You may have even been encouraged by the results. Just before you scheduled your consultation, however, you stumbled onto one additional detail: the procedure’s price tag. If the benefits of liposuction are appealing, but you’ve avoided it due to costs, good news is here! The Advanced Body Sculpting Institute offers budget-friendly packages on VASER Liposuction, Smart Lipo, and Cellulaze treatments. ABS Liposculpture packages are offered at a fraction of other liposuction surgeons! Ranging as little as $1,600 per treatment area. Why Choose the Advanced Body Sculpting Institute? The Advanced Body Sculpting Institute was founded by Dr. Millard, an industry thought-leader, and influencer in the art of body-sculpting. Known for their world-class body-contouring techniques, Dr. Millard and the ABS have been credited with developing field-changing technologies such as: image-guided ultrasound, VASER liposuction, and improvements fat grafting. 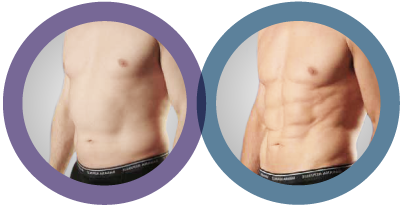 Patients are continuously impressed by the comfortable, effective, and cutting-edge liposculpture they receive from Dr. Millard and his highly-experienced team at the Advanced Body Sculpting Institute. Dr. Millard believes the advanced body-contouring benefits of VASER liposuction, SmartLipo, and Cellulaze’s should be accessible to a wider audience. Patients can now come to the Advanced Body Sculpting Institute and receive the highest quality of liposuction in the world, for a cheaper price than they would normally pay at other medical facilities. In addition to these reduced prices, the ABS offers financing with Alphaeon Credit, which offers no application fees and no interest on procedures which are paid off within six months. What Sets Liposuction at the Advanced Body Sculpting Institute apart? 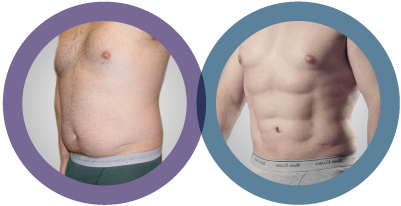 VASER Liposuction precisely and safely eliminates fat from targeted areas, while also contouring the area in a way that enhances the appearance of the patient’s underlying anatomical structure. Due to the fact that VASER, which stands for Vibration Amplification of Sound Energy at Resonance, relies on advanced ultrasound technology, it is able to target and break down the patient’s fat without damaging the surrounding blood vessels, nerves, or tissue. Once the fat is broken down, it can be safely removed. This is an ideal option for patients who lead active lifestyles, but their body refuses to lose the last bit of fat concealing their athletic build. SmartLipo is another cutting-edge option available to patients; this procedure also effectively and safely targets fat, but with thermal energy, which melts the fat and makes it easier to remove. The heat of the laser also improves the elasticity of the skin, helping create a smooth appearance in the treated area. While both methods of liposuction not only eliminate fat but also contour the body, VASER is able to achieve a level of artistry and detail before unseen in the plastic surgery community. The creators of SmartLipo also developed Cellulaze, an advanced skin-smoothing procedure which entails the insertion of a miniscule cannula. The cannula houses a small laser, which targets and melts the fat that is causing the appearance of cellulite beneath the skin, while also stimulating collagen regeneration. The melted fat is gently removed, and the healthier collagen production helps the skin regain smoothness and elasticity. 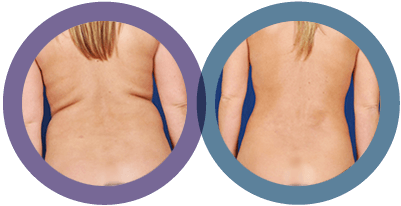 All three of these procedures offer reliable body-contouring results; the skilled team at the Advanced Body Sculpting Institute will make sure patients receive the most advanced, safest treatment possible, for less. VASER Liposuction, SmartLipo, and Cellulaze are intended to be opportunities for patients to sculpt their bodies once they are close to their goal weight. Liposuction is not intended to be used as a weight loss solution. Patients are advised to do the majority of their weight loss before their consultation and to maintain a stable weight before and after their procedure. This will prolong the period during which they can enjoy their results. If a patient is struggling to lose fat in particular areas of their body, including their stomach, back, buttock, thighs, or arms, the team at the Advanced Body Sculpting Institute can help them achieve the slim, sculpted body they desire— for now, a far more affordable price. The cost of a patient’s body sculpting treatment will vary based on their unique goals, areas to be treated, and other medical expenses specific to their procedure. After a patient completes their consultation at the Advanced Body Sculpting Institute, they will receive a breakdown of their anticipated price, which will be lower than the average liposuction treatment. Call ABS today at (303) 708-8770 to schedule your complimentary consultation and find out if you are a candidate for the benefits of an industry-leading body-contouring procedure, for less!